AT HIS NAZISM !!! Growing collection of online resources for studying utopia & dystopia, author's library & biography. Edward Bellamy's date of birth was March 26, 1850, in Chicopee Falls, Massachusetts. Bellamy’s father was Reverend Rufus King Bellamy and Bellamy’s mother was Maria Putnam Bellamy, daughter of the Reverend Benjamin Putnam. The Bellamy geneology dates to the 1640’s, and includes many Baptist ministers. Bellamy’s great-grandfather was the famous Reverend Joseph Bellamy, who worked closely with Jonathan Edwards in the Great Awakening at the time of the Revolutionary War. The Bellamys inspired a socialist movement worldwide and the bible of that movement was Edward Bellamy's book "Looking Backward" (1888) a fantasy about a revolution of totalitarian socialism. It was translated into every major language including the languages of those countries that experienced socialist revolutions and the socialist Wholecaust (of which the Holocaust was a part) under the National Socialist German Workers' Party (~20 million dead), the Union of Soviet Socialist Republics (~60 million dead), and the Peoples' Republic of China (~50 million dead). The United States are fortunate to have detoured from the deadly path of Bellamy’s dogma. Edward was close to his mother and she inspired him to become an insatiable reader, especially of the biographies of great men and tales of adventure. He was fascinated by science, history and military heroes. When he was 17, he applied for admission to West Point, but failed to pass the physical examination. He studied at Union College, Schenectady, New York and became interested Socialism. Bellamy also studied in Germany, where he lived for a year. He studied law and entered the bar in 1871, opening his own law office in Chicopee, Massachusetts. His first (and only) case caused him to evict a widow for non-payment of rent, and he left the legal profession. He so misunderstood the rule of law that in his chosen profession that in “Looking Backward” there are no lawyers, just a world full of laws and government. Edward Bellamy withdrew from the religiosity of his mother, in favor of socialism. The biography “Edward Bellamy” by Arthur E. Morgan states “...there is repeated evidence that in his effort to become free from the loving pressure upon him, he came to the point of spiritual rebellion. His infidel status reached the ultimate point with his last book, published posthumously “The Religion of Solidarity” (Antioch Bookplate Company, 1940). Edward Bellamy's book “Looking Backward” (1888) was such a success that it inspired the "Nationalism" movement in the U.S. and "Bellamy Clubs" (also known as "Nationalist Clubs") whose members wanted the federal government to nationalize most of the American economy. 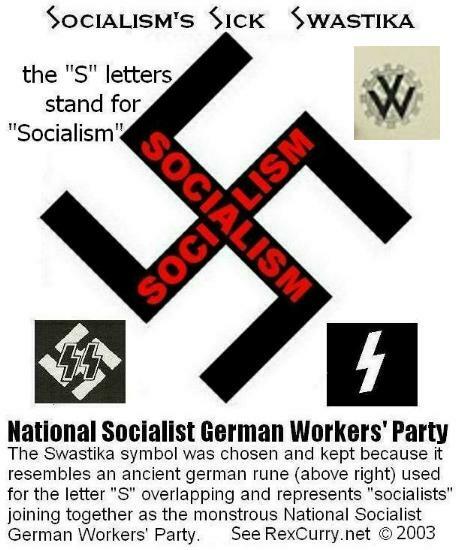 They saw government schools as a means to their socialist "Nationalism." The book "Looking Backward" is about a man who sleeps from 1887 until the year 2000. The United States has become one giant socialist monopoly (excuse the redundancy). The demented document openly portrays men treated as military draftees, from the age of twenty-one until the age of forty-five, in the U.S.’s industrial army (for more on that see http://rexcurry.net/pledge_military.html). Bellamy’s glorification of the military includes government control of all jobs. Everyone is issued ration cards which are used to draw goods from government storehouses. Everyone is permitted only the same amount in value annually. The entire school system is only a government school system and it is an integral part of the development of the industrial army and of the entire socialist monopoly system. Bellamy's book was translated into 20 foreign languages. It was popular among the elite in pre-revolutionary Russia, and was even read by Lenin's wife. John Dewey and the historian Charles Beard intended to praise the book by stating that it was matched in influence only by Das Kapital. Bellamy’s is the same socialist naivete that resulted in 7 million persons who perished from 1932-33 in the famine that resulted in Europe’s “breadbasket” after the Union of Soviet Socialist Republics imposed collectivist land management in the Ukraine. By the spring of 1933, an estimated 25,000 people died every day in the Ukraine. 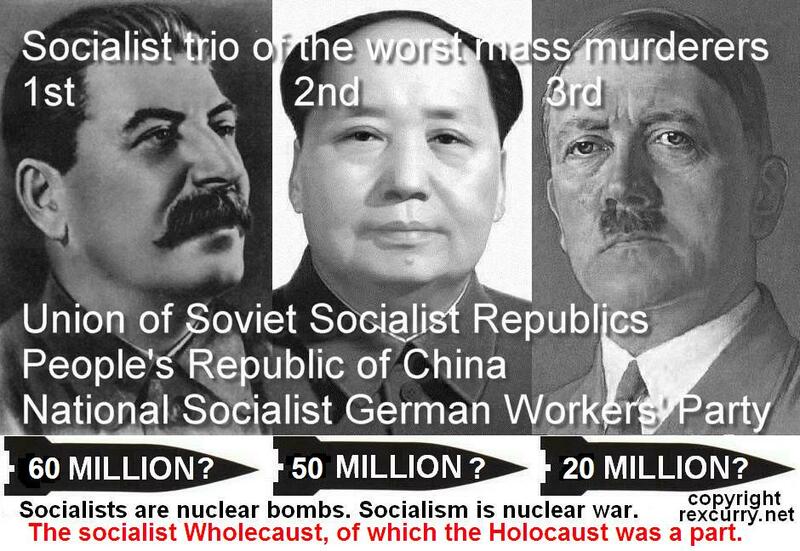 It is the same socialist naivete that resulted in 27 million people starving to death in 1958 in the so-called “Great Leap Forward” in China. Was the “Great Leap Forward” inspired by “Looking Backward”? If Bellamy's fictional character had awakened in the year 2000 he would learn that since 1887 Bellamy's philosophy had set and was holding all the worst records for shortages, poverty, misery, starvation, atrocities and mass slaughter. Edward Bellamy lived from 1850–1898, and died in Chicopee, Massachusetts and was spared witnessing the horrors that his socialism caused to the rest of humanity. The original Pledge of Allegiance to the U.S. flag as dictated by Francis Bellamy used a straight-arm salute, not the hand-over-the-heart (see rare historic photos at http://rexcurry.net/pledge1.html). Francis Bellamy died in 1931, living long enough to see a similar salute and a similar philosophy espoused by the National Socialist German Workers' Party. As the only person on the internet who collects, exposes and writes about historical photos of the original socialist salute to the U.S. flag, I consider Edward Bellamy’s book (and the Bellamy cousins' ideas) terrifying.